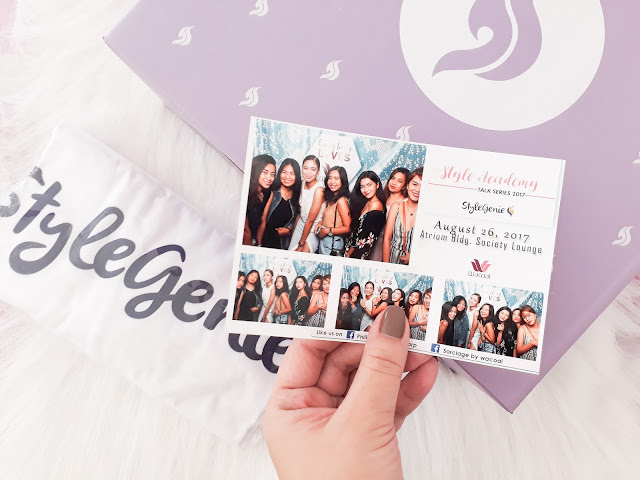 A week ago, the first ever Styling Subscription box - StyleGenie - celebrated their 1st Anniversary at Society Lounge Makati. Big names from the fashion industry shared inspiring talks on how to cop a makeup look, how to create fashion statements, what's in store for you in the fashion industry and the like. 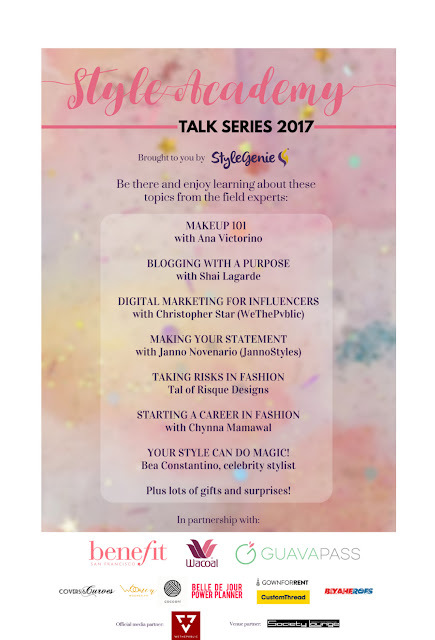 Few of the chosen StyleGenie StyleAmbassadress shared the whole day with these Style Gurus and exchanged knowledge about beauty and fashion. 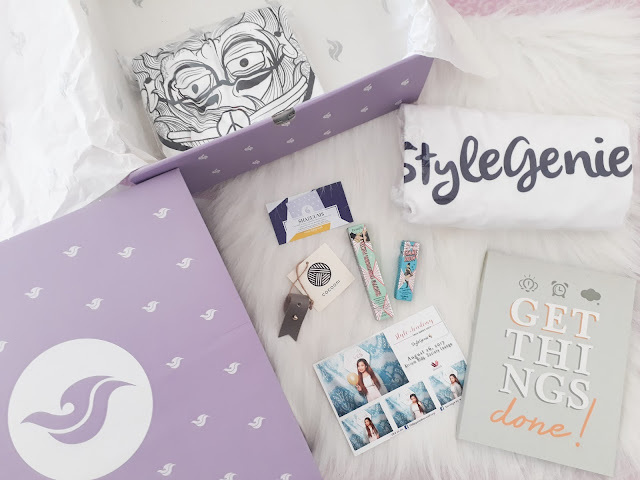 Ana is a well-known beauty blogger - sister of StyleGenie's CEO Abbie Victorino - shared some tips on how to draw the perfect brows using Benefit cosmetics. "Eyebrows frame the face. Therefore, it's good to have them clean, visible, and shaped to match the natural shape of the face." Shai is also a well-known beauty and style blogger that not only showcase topics about beauty, style, and fashion, but also empowers her readers on what blogging is all about. She discussed how to map your blogging goals by having a VOICE. V - vision. What do you want to happen? O - output. Platforms and channels. I - identity. What makes you unique? What makes you stand out? C - character. The core values of VOI. E - experience. These are the good and bad things in your life that help build your C.
Janno shared his journey on styling celebrities like Yeng Constantino and KZ Tandigan. Making a fashion statement means creating a signature style. Tal is an entrepreneur and the owner of Risque Designs - an artisan footware brand that offers different shoes designed based on Filipino legends inspiration. Chynna, a former Marketing employee of SM Malls, decided to start her own career in couture fashion. She discussed few possible careers in fashion such as Retail Merchandising, Visual Merchandising, Fashion Designing, etc. Knowing your body type helps you decide what type of clothes you should wear. Do you want to accentuate your shoulders or hide your tummy? Bea has been in the fashion industry for 15 years and as a well-known celebrity stylist, she is an expert in her field and shows an exceptional talent in styling. 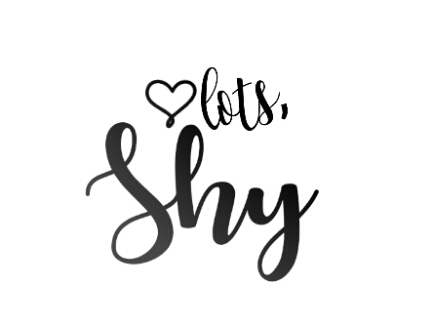 © 2018 COPYRIGHT SWEET CONFESSIONS BY SHY BONTIGAO. ALL RIGHTS RESERVED. 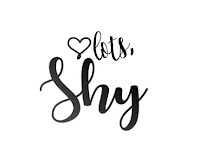 Sweet Confessions is a personal blog owned by Shy Bontigao. The contents posted on this blog is solely owned by www.shyieesolove.com unless sated otherwise.